Host a function in our private dining area at Manly for 20 guests or more during August or September, and you’ll receive a $100 dining voucher to use on your next visit to Garfish. Overlooking the harbour in Manly, our private dining area is the perfect Northern Beaches location to celebrate your special event. We can cater for birthday celebrations and other specials occasions, as well as business functions. The private dining area can accommodate up to 40 guests and there’s no room hire cost. With audio visual equipment available and a functions menu & wine selection tailored to your needs, Manly has everything you need to host the perfect event. Call our Manly functions manager on 9977 0707 to book your August or September function. *To qualify for the $100 dining voucher, functions must be hosted at our Manly Garfish restaurant during August or September 2016 for 20 or more guests. Dining voucher will be supplied on completion of the function for use on a separate occasion. 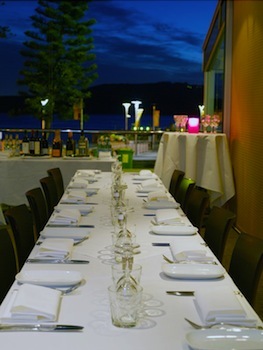 Did you know our Kirribilli & Crows Nest Garfish restaurants also host functions? 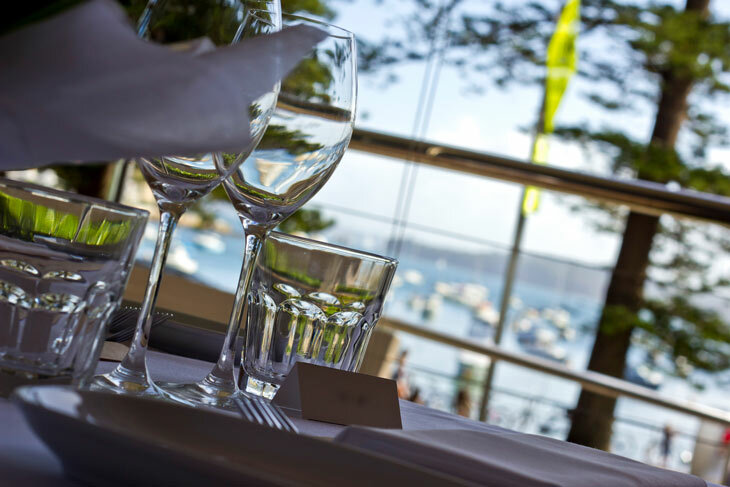 Our award-winning Kirribilli restaurant hosts functions in our beautiful al fresco area. It’s available for exclusive use and can accommodate up to 20 guests. Smaller groups can also book our indoor dining area. Our Crows Nest restaurant is a great option for North Shore residents and can cater for up to 30 guests. With St Leonards only a short walk away, Crows Nest is also popular for business meetings, including business breakfasts. Call Kirribilli on 9922 4322 or Crows Nest on 9966 0445 to enquire about booking your next celebration or business meeting.